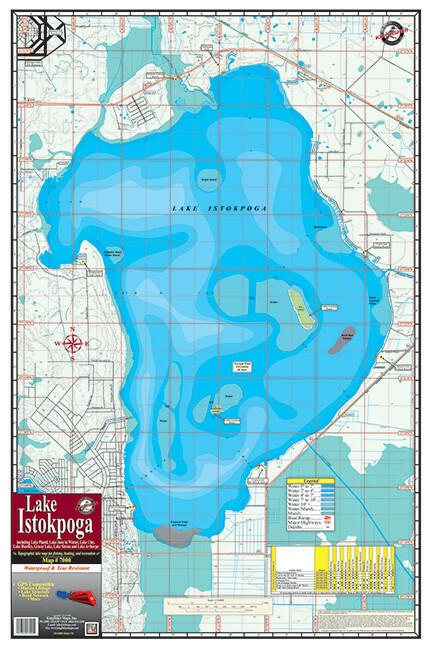 Lake Istokpoga #7000 – Kingfisher Maps, Inc.
Istokpoga. 23″x35″ Two-sided Waterproof and Tear Resistant! GPS Compatible, Mairina Listings, Lake Structure, Road Network and More. 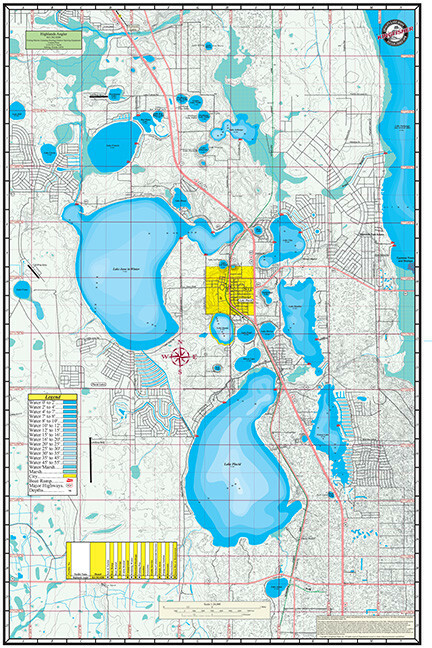 Lake Istokpoga, perhaps the best fishing in the South Region, exists in this 27,692-acre lake located east of US Hwy. 27 near Lorida. Excellent bass and bream fishing occurs year round and crappie fishing peaks during the winter months. Several fish camps and nine boat ramps provide ample access to the lake. Arbuckle Creek enters at the northwest corner of the lake and provides good fishing for bass and spotted sunfish during the winter and spring.